Nearly six months after re-entering the solid state market with new Green and Blue series SSDs, Western Digital is announcing the first flash-based variant to join its palm-sized My Passport lineup. 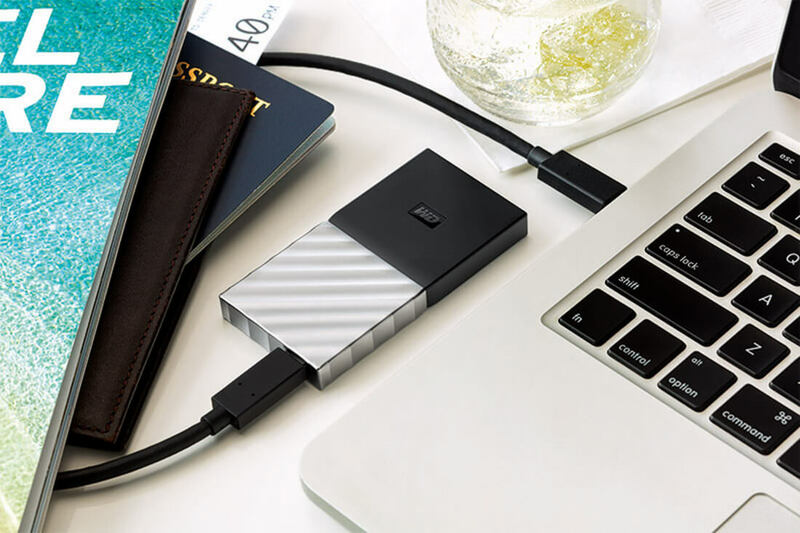 Simply known as the My Passport SSD, the portable storage device is a mere 0.39 inches tall, 1.8 inches wide, 3.5 inches long and is available in 256GB, 512GB or 1TB capacities. Western Digital quotes a peak 515MB/s sequential read speed, which would make it a bit faster than our current ‘Best of’ pick for portable SSD storage, Samsung’s well regarded T3. Prices are also roughly on par between the to as well, with the My Passport SSD starting at $100 for 256GB, moving up to $200 for 512GB and $400 for the top-tier 1TB model — the T3 has an additional 2TB tier for $790. The My Passport SSD is designed with the latest generation of laptops in mind, featuring a single USB-C port, but you’ll also find a USB-A adapter in the box for compatibility. The drive touts 256-bit hardware encryption, and is also 6.5-foot drop tested for shock-resistance to withstand 1500G of force. All three models come with a three-year limited warranty. The new drive is available now at Best Buy stores and will be coming to other select retailers starting this quarter.